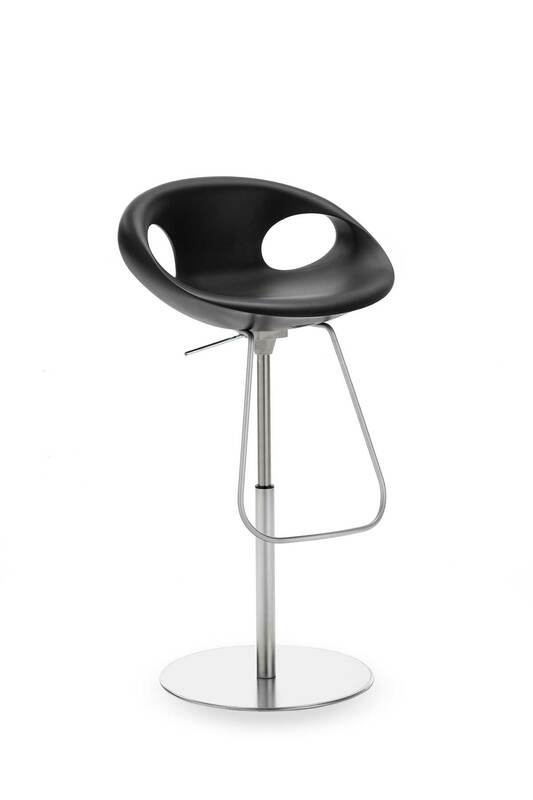 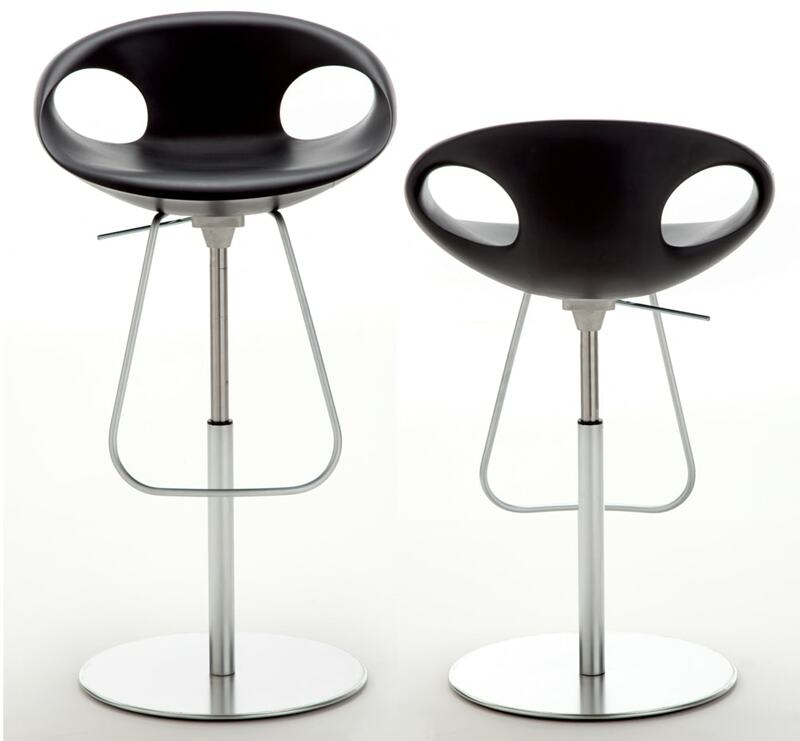 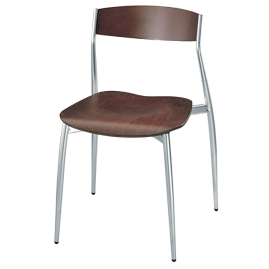 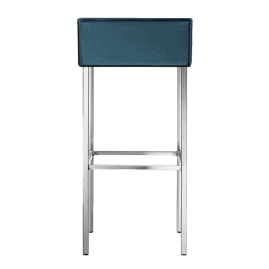 Max Overall Height 106 cm 41.7"
Min Overall Height 81 cm 31.9"
Min Seat Height 60 cm 23.6"
Barstool with seat in integral foam. 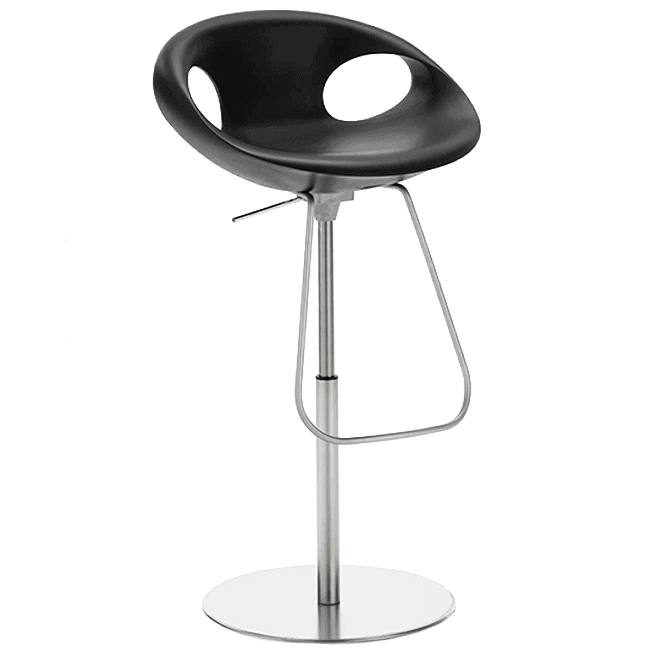 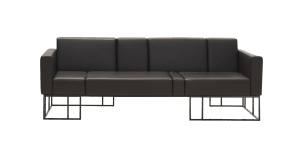 Matt steel base with adjustable height. 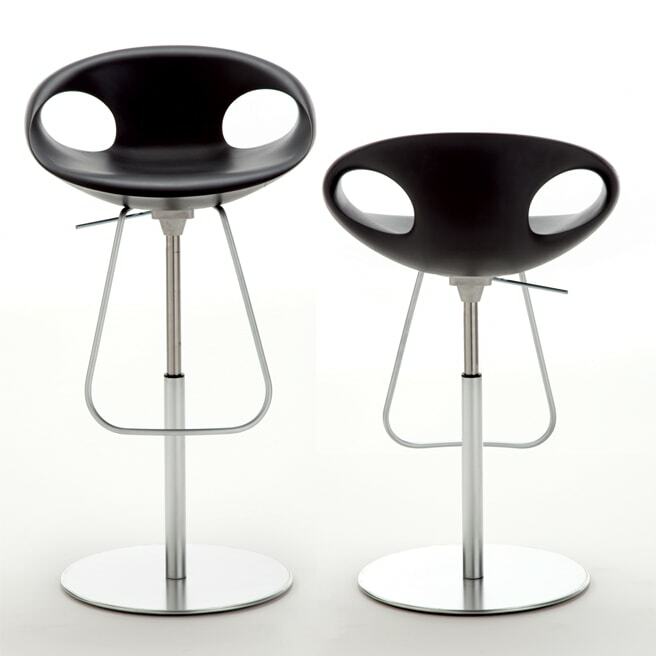 360° Swivel no memory return.